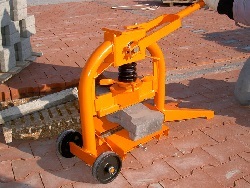 Paver laying machines | Concrete and concrete application techniques | Ingconsult Ltd.
more information Paver laying machine Optimas H88 … small, powerful, and versatile! more information Optimas laying mashine T11 - Basic Optimas T11-basic concentrates on the essential. Due to the design T11 ensures with a brilliant price-performance ratio! Solid, maintenance firendly and easy operation are the remarkable attributes! more information Optimas Vacu-Mobil E The Optimas Vacu-Mobil E is equipped with a very quiet electric motor. This makes the Optimas Vacu-Mobil E an ideal machine for laying heavy slabs in, for example, pedestrian areas or residential zones. Concrete and natural stone elements up to a weight of 100 kg can be moved and accurately laid as if they were weightless. integrated vacuum tube lifting technology. 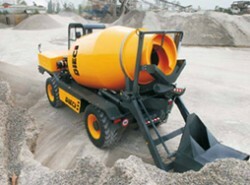 more information Optimas PlanMatic Fully automatic - a perfect screeding machine! more information Kerbstone edging layer with vacuum : POSE BORD'AIR Adaptable on the forks of your carrier, this machine works with vacuum thanks to suction cups for kerbstones type T2 - T3 - CS1 - CS2 - CS3. Laying kerbstones is quick, accurate and effortless.